DUNCAN, BRITISH COLUMBIA — A wine-growing region in a temperate rainforest might seem like a novelty, if not an impossibility. Vinifera works best in a stable climate with many dry days and high temperatures. Vancouver Island, home to the Pacific Coast rainforest, may not seem to meet the requirements but in the 1990s a small group of pioneering farmers and viticulturists began a wine industry, experimenting with a number of grapes and coming to the conclusion quality sparkling wine and some whites could succeed in the Cowichan Valley, a delightful region of farms, artisans, and chefs about 30 minutes by car north of Victoria. Today, with climate change leading to hotter days, the growing period has extended and a range of red grapes has also emerged as dependable for the soil. More and more, the Cowichan Valley is living up to the meaning of its name (“warm land” in the language of the Quw’utsun Nation of Indigenous people). With that shift comes more wineries and more accomplished winemakers venturing into what is likely the most intriguing wine-growing area in Canada. The region even has its own annual wine festival, which in 2018 will be held on August 25-26. Bailey Williamson is among the converts to Vancouver Island’s potential. The former assistant winemaker at Road 13 Vineyards — the Okanagan Valley operation that was named British Columbia Winery of the Year in 2017 at the National Wine Awards — arrived at Blue Grouse Estate Winery and Vineyard five years ago, convinced new owner Paul Brunner had the commitment and means to take the business to greater success. Blue Grouse has purchased more land in recent years and is up to 65 acres of property. 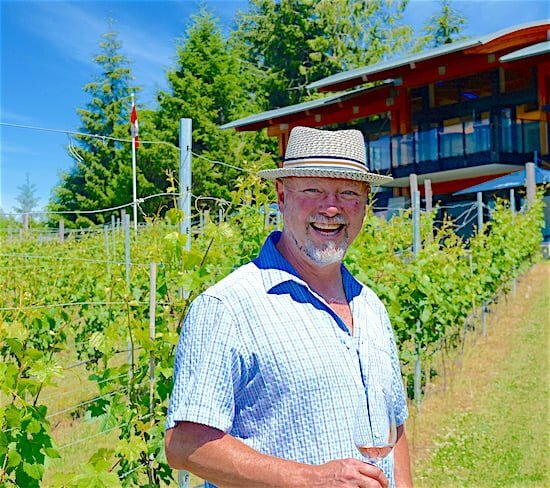 Under Williamson, Blue Grouse is turning out exceptional wines that are finding their way on to menus at leading restaurants in Victoria, Tofino and Vancouver, and into the cellars of visitors who come by to the winery’s open, airy facility for a tasting. For now, there aren’t big Cabernet Sauvignons or Tempranillos being made on the island. You’ll find elegant, easy-to-drink whites like Ortega — a cross between two German grapes, Müller-Thurgau and Siegerrebe —, Gewurtzaminer, and Pinot Gris, as well as Rosé and Pinot Noir. Most importantly, though, is Charme de L’ile, the Prosecco-style sparkling wine that the winemakers on the island are trying to champion as the regional varietal, creating opportunities for marketing and sales similar to how Oregon’s wine country is predominantly known for Pinot Noir or Ontario for its Icewine. Averill Creek Vineyard and Unsworth Vineyards are among the leading producers of Charme de L’ile on the island. For a wine to qualify for the name, it must be made only from grapes grown on Vancouver Island or the Gulf Islands, and in the traditional Charmat method that includes a second round of fermentation that helps create natural carbonation. 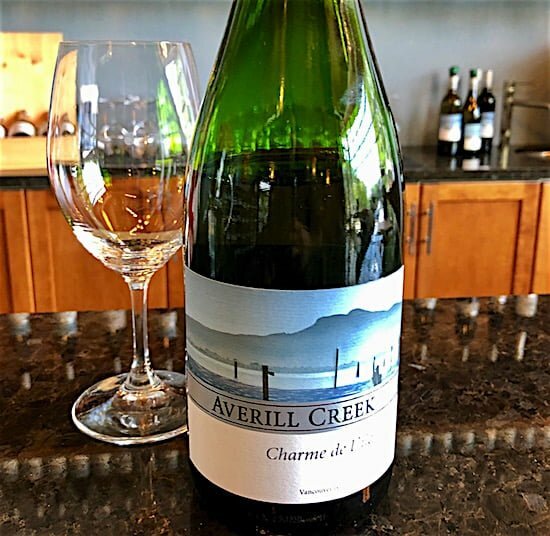 Averill Creek’s Charme de L’ile, made with Pinot Noir and Pinot Gris grapes, is a popular seller. Unsworth’s Charme de L’ile features those same two pinot grapes as well as 15 per cent Sauvignette for a finish that’s less dry than Averill Creek’s. 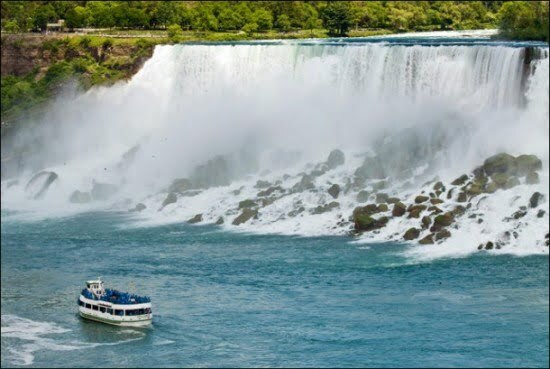 The two businesses are also among the wineries that are tourist destinations as well as favourite stops for locals. Wine aficionados will want to make sure they drop in on the first winery to open in the area, Vigneti Zanatta Winery and Vineyards. 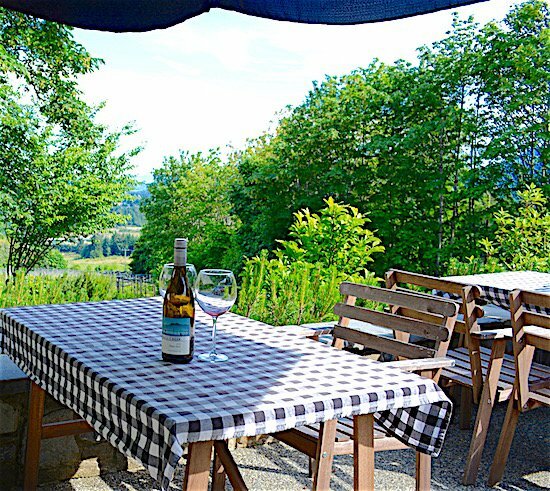 Set on a country road in Duncan, Vigneti Zanatta is a lovingly cared for property with a restaurant and tasting room in the house that has been home to the winery’s namesake family since they immigrated from Italy. Although it doesn’t produce a Charme de L’ile it does make three kinds of sparkling wines. The pioneering efforts of Dionisio (Dennis) Zanatta to experiment with growing wine grapes in the Cowichan Valley in the 1980s was ground-breaking work for those who followed his path. 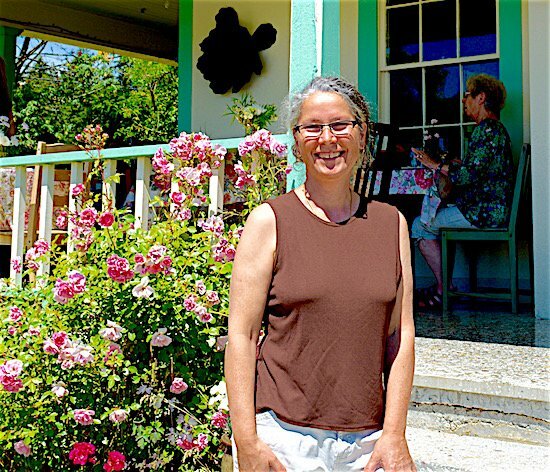 Zanatta, who moved to Canada from an area near Venice, was motivated to enter the wine business by the federal government’s incentives for grape growers as well as his own belief that the Cowichan Valley had similar qualities to the Italian vineyards with which he was familiar, says his daughter, Loretta Zanatta. She has been the viticulturist since her father passed away in 2008 and is also the co-winemaker, with her husband, Jim Moody. Having been part of the island’s winery scene from the beginning, Zanatta isn’t certain if now is the time when recognition will come on a larger scale. She has witnessed the region receive notoriety previously only to see the momentum sputter. All four wineries mentioned above are fabulous places to visit — not only for the wine-tasting experience but for their food programs. Here’s a closer look at each. Wines You Must Try: Charme de L’ile ($20.50) and Somenos Foch Cabernet ($32.50, features a blend of Marechal Foch, Cabernet Foch and Merlot). Wines You Must Try: 2015 Estate Pinot Noir ($27). Tastings cost $5 per person for five wines (fee refunded to patrons who purchase a bottle). 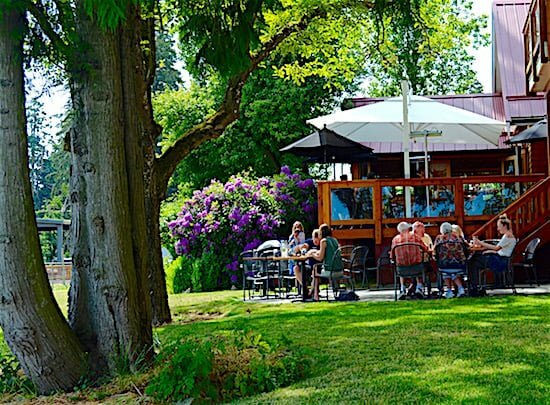 Food Options: On several Saturdays and Sundays the winery features oysters, shucked on site, as well as charcuterie and options from a local food truck. The estate also features accommodations in a beautiful two-bedroom, two-bathroom suite that opened in 2017. Wines You Must Try: Symphony ($27, an interesting red blend of Cabernet Libre and Petit Milo that packs a punch with 14 per cent alcohol) and Charme de L’ile ($25). Food Options: A visit to Unsworth should include a reservation at its brilliant restaurant that overlooks the vineyards and includes patio seating for added country ambience. The menu includes local seafood choices, burgers, and decadent desserts. 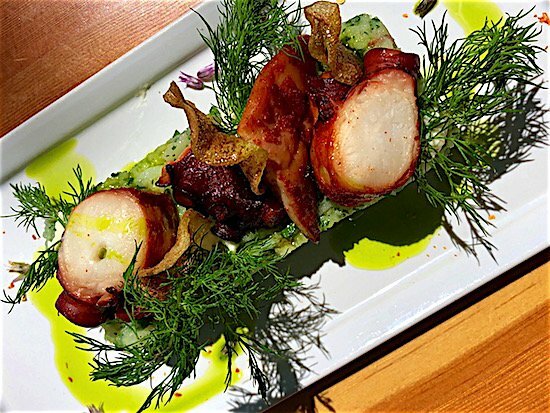 Be sure to try the Smoked Octopus ($18), served with chorizo and potato salad. Wines You Must Try: Damasco ($14.20), a popular blend of four white grapes. Food Options: The winery has a cute bistro, Vinoteca, that features Italian cuisine, as well as dishes from other parts of the world. Locations: The wineries of the valley are hosting special events; some are even pouring select vintages for the first time. There will be food and music as well. Website: Visit the festival website for details on each winery and what you can expect when you visit. Cost: $15 for a glass and tastings at each of the 11 participating wineries. Participants will tour the wineries on their own and will be encouraged to fill their “festival passport” with stamps from each location. Passports that are filled will be eligible for a grand prize draw.